I must admit, I haven't spent a lot of time in Devon Valley at all - even though it's only a mere 40min from my home. I wish I had made the journey sooner! It's absolutely spectacular. 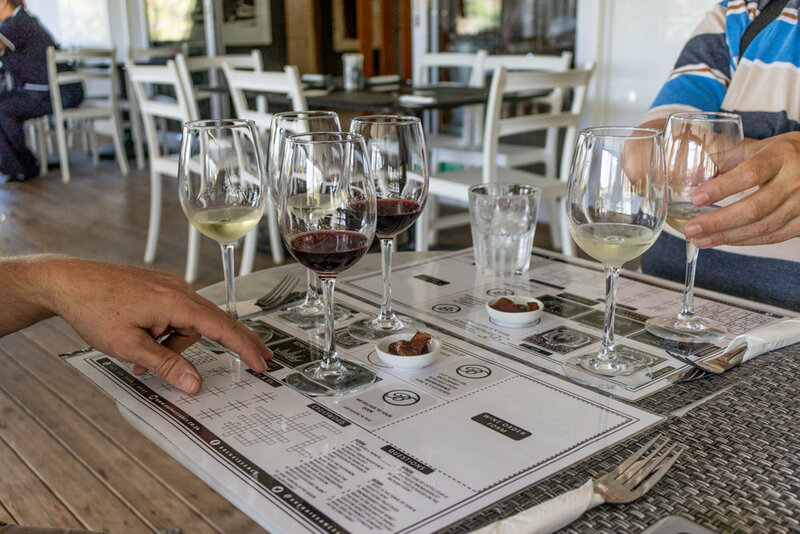 And for the South African regulars to Stellenbosch and its wine route... don't forget about little Devon Valley on your way through here! 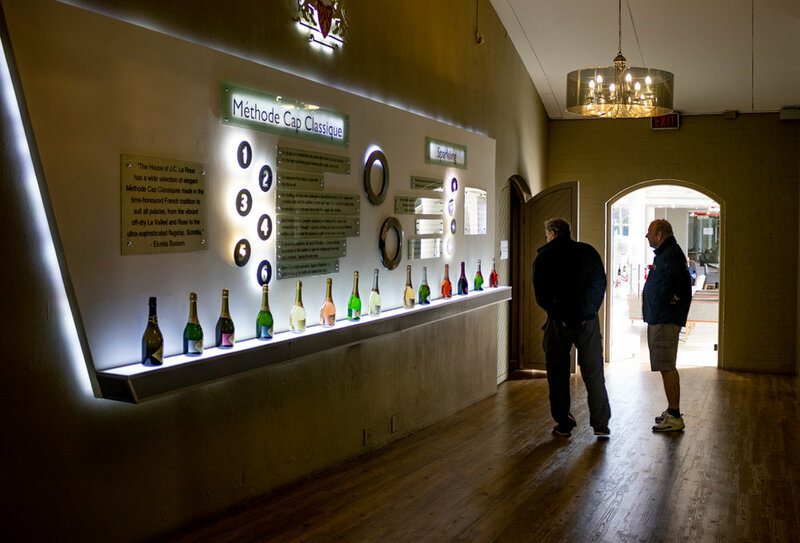 World-class wines, sparkling brut, chilled outdoor venues, amazing scenery, fantastic estate restaurants, and even a craft brewery on your way in (or out) of the valley - just in case a cold & crafty beer is more your thing! Now, I wasn't actually there to shoot landscapes... so without a tripod or filters, would simply need to steal away for a few minutes at a time - like at lunchtime or during our client's wine tastings - to get some shots of the scenery. And it was seriously worth it. Even though it was all a bit rushed, it was really fun to have a bit of time pressure to mix things up. The day was an especially good one for me because I just love the Autumn colors and how the vineyards are all turning yellow, orange, and yellow at this time of year, while the pastures are otherwise still quite green (since we're heading into the start of the Cape's raining season) and it's a lovely combination, and especially if there is some moody weather moving in, and patches of blue sky in the gaps between all the moving clouds. When first I lined up my shots, I struggled a bit with all the moving trees, vines, and bushes (especially those in the foreground) but I soon stop struggling because I literally stopped caring, because how could I get upset with a view like the one I had right in front of me a! I know I'm repeating myself here... but it really was a beautiful day and really nice to be out taking photographs. I think I had a smile on my face pretty much the whole time. 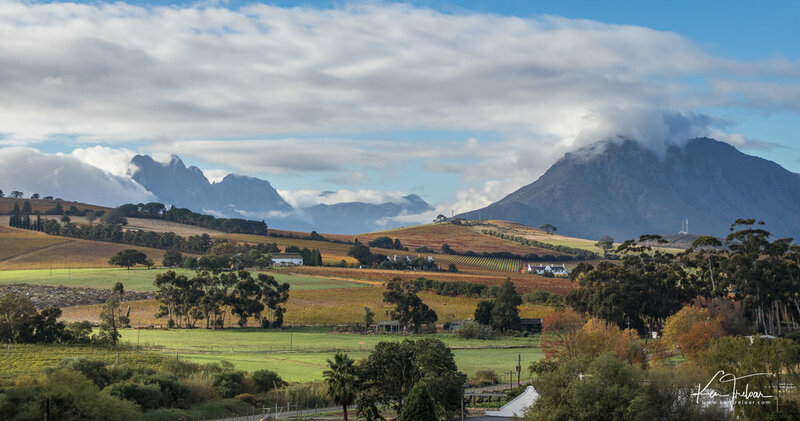 Now I haven't shot an awful lot of Landscapes involving vineyards... just a few around Simonsberg and Constantia. See below a few of those shots from Instagram. You can really see what I mean about the change in the look and feel from lush green vines to the orange fall colors rom this recent Devon Valley trip. Until next time, I hope you've enjoyed these images of the Devon Valley.